* Read more: https://boltingbits.com/ben-sun-oceanways-t150-delusions-of-grandeur * Watch on YouTube: https://youtu.be/v6FQk57D-E0 * Pre-order: http://bit.ly/2Y1uZz8 Today’s premiere comes from London-based Australian producer Ben Sun’s latest outing on Delusions of Grandeur, following up his 2017 mini album on his own vinyl-only imprint, Voyeurhythm. The deep house maestro returns home to Delusions of Grandeur - following a string of acclaimed releases from the likes of Session Victim, Cosmonection & Saine - Ben marks his fifth release for the London label with this new 3 tracker EP. It's our pleasure today to premiere the B1, titled ‘Oceanways T150’. Oceanways T150 kicks off with a serene atmosphere and soothing chords. Deep as the ocean, ethereal pads and distant piano stabs trot along to a laid back breakbeat groove. Analogue synths chirp like birds, and you can hear the swell of the sea in the distance. Next thing you know, bouncing square waves and a thumping kick drum up the pace. The pads are gone, the hihats are crisp, and an incoming clap tells you it’s time to dance. 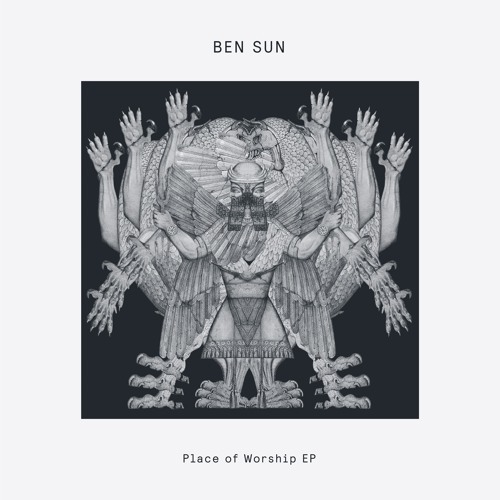 Deep but full of energy, Ben Sun’s Oceanways take us back to simpler times, revisiting the old school breakbeat infused house tip with a modern twist, and reminding us yet again of how we missed it so.Definitely a must-have EP for any house connoisseur, grab Place of Worship EP out next week on Delusions of Grandeur!